Friday Fragments… Friday Fragments are bits and pieces of your week that are usually brief; too short for a stand-alone post, but too good to discard. Collect humorous observations, “Heard” items, and other small gems throughout your week and put them together in a Friday Fragments post. Add a recipe or something ‘foodie’ from your week. Leave me a link in the comments so I can read your fragments! On the 3rd Wednesday of every month I attend a Press Club Luncheon. I enjoy most of the guest speakers we have but this past week our speakers were interesting and actually fun. 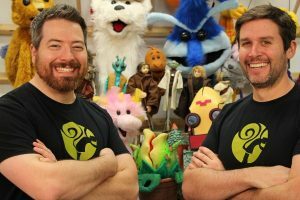 They brought puppets; they actually design/build and operate puppets. They were cute too, the guys and the puppets! 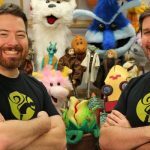 Monkey Boys Productions is a unique multi-medium production company that creates puppets, props, creatures, costumes, practical effects, and entertainment for film, television, and stage.